Every marketer needs to understand the traffic coming to their website, and Google Analytics is the most popular way to measure campaigns and make informed decisions. Google Analytics gives you standard metrics such as page views, unique visitors, and bounce rates. But when you’re running a digital campaign, you need to know the results. One of most common ways to measure your campaigns is by using UTM codes. Not only do they help to show traffic information like page views and bounce rates, but you can also find out how many people from the campaign completed a particular goal (this is also referred to as a conversion). In most cases, the goal from a digital campaign is to complete a form on your site. 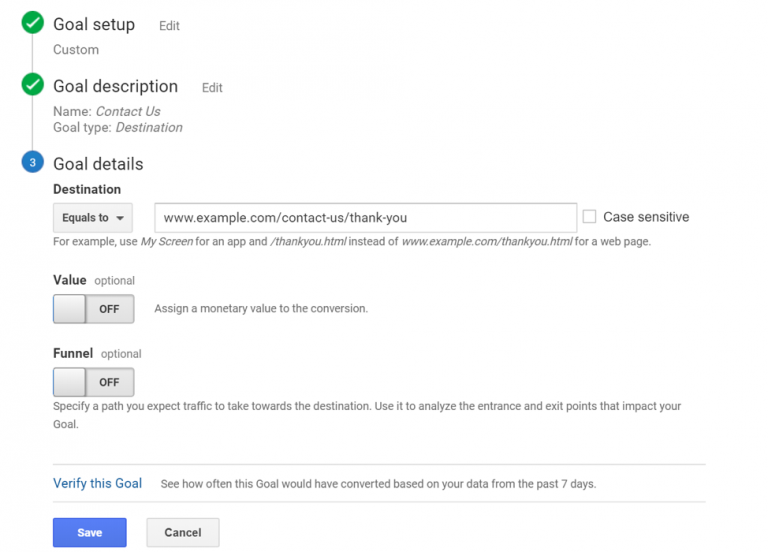 To track these form completions, you’ll want to set up the goal in Google Analytics. In this article, we’ll discuss both setting up a UTM code for a campaign and setting up goals in Google Analytics as ways to measure the ROI of a campaign. UTM stands for Urchin Tracking Module and is the best way to track your campaigns in Google Analytics. You might have seen this code when you click on a link from a social site and see a question mark and a few ampersands at the end of website address. This is the important information that’s being passed on to Google Analytics. While only URL and source are required, you’ll want to capture as much information as possible in order to see what’s working and not with your campaign. For example, you may create a 300×250 banner ad on a popular new home website that appears when someone types in Neighborhood XYZ. When they click on the ad, it is forwarded to a landing page for the campaign that includes a contact form. It looks more complicated than it really is. 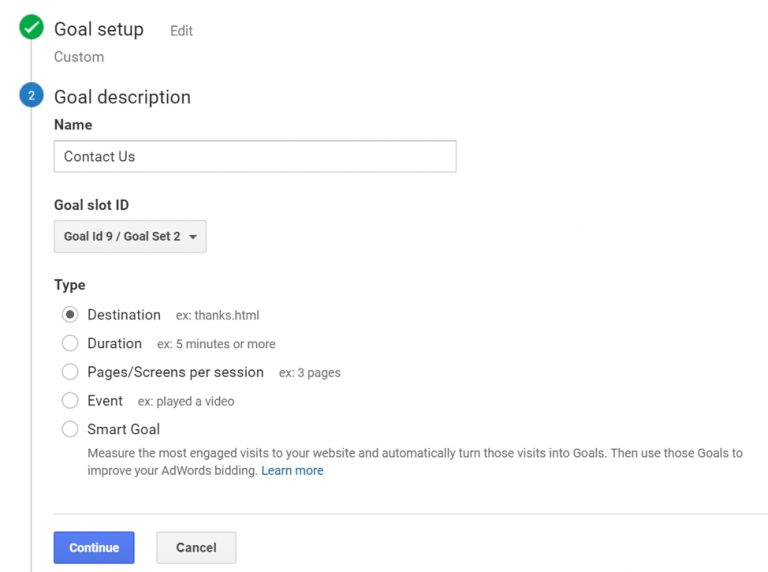 A quick way to generate this information is by using Google’s campaign builder. Not only can UTM code be used to track the links for your paid campaigns, but you can also add them to your email links. Lasso has its own website analytics, but you can add the UTM code to keep track of the campaign in Google Analytics. You can also use UTMs in your email if you want to test aspects of the email such as button placement or copy variations. By using the UTM tag it will show up in Google Analytics Campaigns section and shows you what worked, what didn’t, or if it made a difference to your traffic at all! Most campaigns are comprehensive and touch a wide variety of sources — paid, social or email. The Campaign section in Google Analytics will show you the traffic from your campaign and which sites referred the most traffic. Did the email perform better than the paid campaign? Or maybe the social part of your campaign did? You can drill down and see which social site produced the best leads for the campaign. Knowing the volume of traffic to your site is only part of the equation. You’ll also want to know how many people completed the goal. Setting up goals in Google Analytics will give you this information. Goals are at the heart of knowing whether your campaign is working, so you need to make sure that you have set up your conversions correctly in Google Analytics. In general, it’s not a difficult process– only 3 steps–but you just need to choose the right goal type to make sure your tracking those conversions correctly. NOTE: You will need to have at least the ability to Edit, Collaborate in order to create goals. For the Contact Us form on the landing page example, you can set up your goal as a Destination or Event. This is the easiest goal to set up. The visitor completes the form on your landing page and then they are redirected to a Thank-You page. 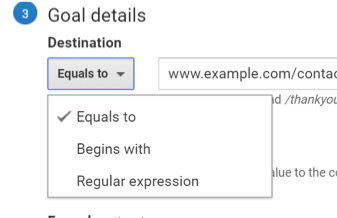 After you have selected the Custom goal type in Step 1, you create a name for your goal in Step 2 and select the Destination option. Continue to Step 3 where you enter the URL of your thank you page. You can also set a value for the conversion or add the funnel (both are optional) and can be done after the fact if needed. However, sometimes additional information is passed through the URL (e,g. : (www.example.com/contact-us/thank-you?st=41). In this instance, I would recommend using the Begins With option. This way the will register correctly as a goal. Watch your analytics to make sure you’re seeing conversions in your goal and make sure that everything is setup correctly (If you have set up a filter in Google Analytics to NOT pick up traffic from your office, you can test the goal at a different location. You should use an Event goal, if your goal is based on an action such the visitor clicking on the Submit button and not being redirected to another page (the visitor may see a pop up screen or the content is replaced with a Thank-you message…in either case they stay on the same page). Similar to the Destination goal, verify your goal. 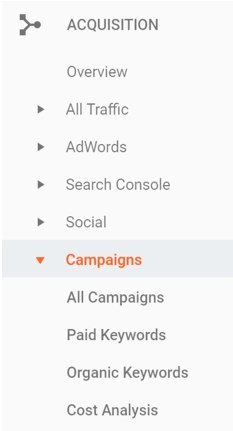 In Google Analytics, go to the Acquisition → Campaigns → All Campaigns table in Google Analytics. You can then adjust and drill down to look at such information, either setting the Primary Dimension so the campaign name would be replaced by the new variable or setting a Secondary Dimension that will add more detail to the Campaign information. You can look at source, medium, ad content or a host of other variables/dimensions. We really only scratched the surface in describing the what Google Analytics can do and the information you get from it. Google Analytics is great for giving you a big picture overview of your campaigns and a necessary tool for every marketer to learn and use.